Despite widespread pessimism over South Africa’s skills shortages and economic prospects, the country has a thriving culture of business innovation capable of flourishing in adversity. This was abundantly clear at the 2016 TT100 Business Innovation Awards, where the quality of the award winners revealed the depth of innovation in South African companies of all sizes, from emerging and small enterprises to medium and large. From car-locking systems that won’t let the driver behind the wheel if over the limit to technology that ensures the integrity of cleaning procedures in the food and beverages industry, the achievements of the winners showed how companies are putting their talents to work to overcome uniquely South African challenges. The 2016 TT100 awards – the 25th edition since the programme was established in 1991 – were presented at the Johannesburg Country Club on Thursday, 27 October, under the auspices of TT100: The Da Vinci Institute School of Managerial Leadership. Da Vinci’s awards partners are the Department of Science and Technology, MTN and Eskom. Minister of Science and Technology Mrs Naledi Pandor gave the keynote address and presented the awards, which recognised top-performing companies in four main categories: management of technology, management of innovation, management of people, and management of systems and sustainability. In each category, awards were presented to the top emerging, small, medium and large companies. In addition, four special awards from the Minister and Director-General of Science and Technology were presented for overall excellence. The winners of TT100 awards were chosen through a unique selection process, starting with pre-qualification. To qualify, companies must have been in business for at least one year and must not merely resell an existing product or service but must have introduced an innovative element within the TIPS™ model. Next, after completing a comprehensive online questionnaire, each participating company is invited to a two-hour consultative interview with the awards adjudicators. For the first 45 minutes, each entrant gives a presentation on the company and its business. The last 45 minutes are spent on questions from the adjudicators, all of whom are champions of innovation and have experience in enterprise development or entrepreneurship. For 2016, 22 adjudicators representing a cross-section of the economy, from banking and business incubation to auditing, energy and public policy-making, volunteered their time and expertise to the judging process. Scoring is done electronically. The adjudicators individually assign scores to each company and input these into a dedicated TT100 awards system. The system collates and consolidates the scores, and produces a matrix of the winners and finalists. A special benefit of the TT100 awards programme is the feedback participants receive from the adjudicators. This takes the form of the verbal feedback received during each two-hour adjudication session and an electronic dashboard that each entrant can download after the awards. The electronic dashboard contains detailed, confidential comments from the adjudicators on where the company concerned is doing well and where it could consider making improvements. In addition, each participant receives a 30-minute post-awards feedback session with the chief adjudicator. 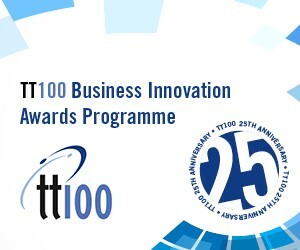 Winners and finalists receive the additional benefit of becoming part of the TT100 community and being invited to participate in TT100 events, including business forums held jointly with government and partners involved in promoting business innovation, particularly the Department of Science and Technology. The quality of the feedback participants receive is the reason why many companies enter the programme year after year – regardless of whether or not they win an award. In fact, some companies entered the awards for the first time in 1991 and are still taking part today. Entries for the 2017 TT100 Business Innovation Awards are already being accepted. Entry is open to all companies, South African and international, as long as they have been in business for at least a year and consider themselves leaders in the way they manage technology, innovation, people or systems. This entry was posted in #TT1002016, management of innovation, management of people, management of systems, management of technology, managerial leadership, TT100 on October 28, 2016 by Da Vinci.